How have you all been? I can't believe it's already November, Christmas will be here before we know it! 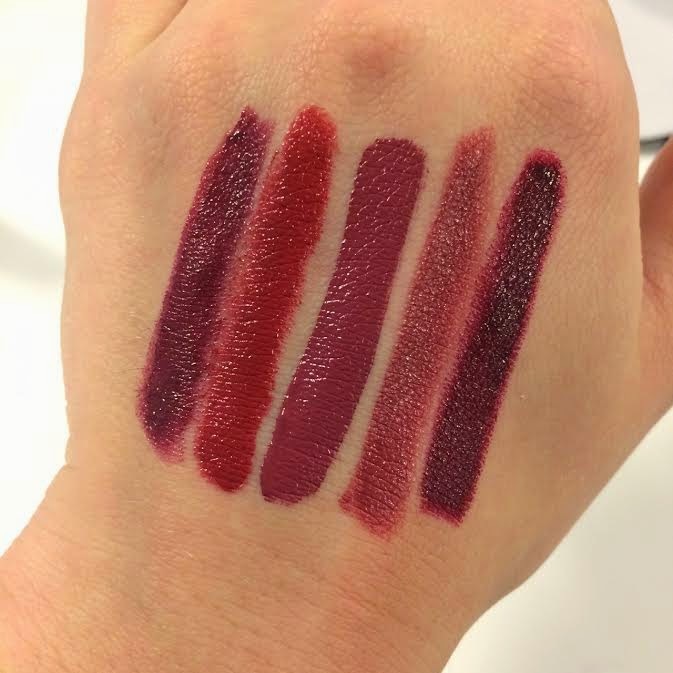 Today I wanted to share some great options for a fall berry lip. 1. MAC lipstick in Hang Up - A beautiful berry color with a creamy finish. 2. Boots Botanics lipstick in Scarlet - This color looks gorgeous on all skin tones! It's very pigmented and one swipe is all you need to finish your look. 3. Sephora Cream Lip Stain in 04 Endless Plum - This is one of my roommate's favorite lip colors, it dries to a creamy semi-matte finish but you can always add a gloss or chapstick if you prefer. 4. Boots No7 Moisture Drench lipstick in Cranberry - Perfect for everyday, for those with darker complexions this color is a great 'your lips but better' color. The formula is easy to apply and moisturizing just like it says. 5. Urban Decay Revolution lipstick Shame - a lip liner is a must with this color as it's quite dark and can be difficult to apply right out of the tube. This is definitely the vampiest of them all but such a fun color to go out in. 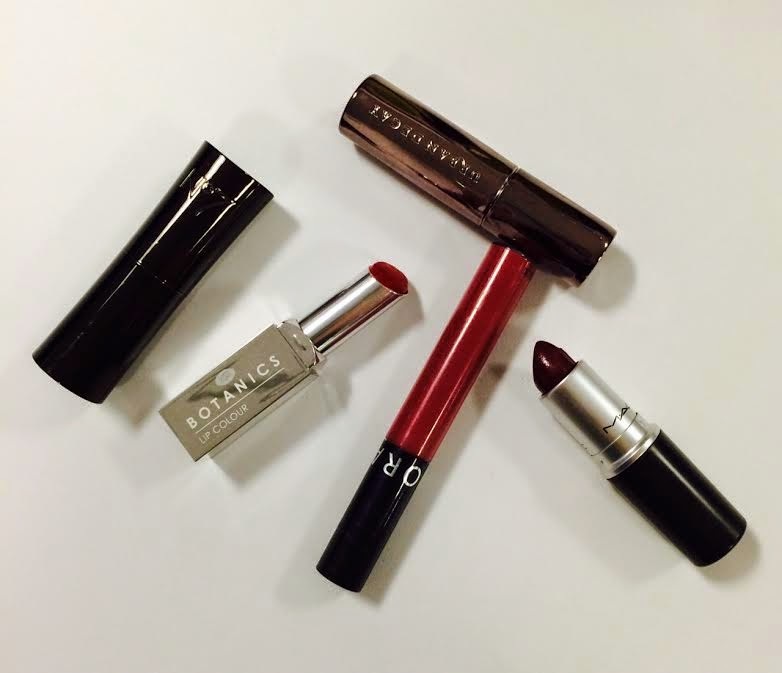 Do you have a go-to berry lip color?